Here are the 10 most intriguing stats from the digital marketing space in the last week, including fascinating Instagram numbers and research about where brand dollars are going. 1. Companies will allocate 11.7 percent of their marketing budgets for analytics by 2018, up from 6.4 percent currently, according to Duke University's survey of 288 chief marketing officers. 2. The same Duke study found that mobile advertising currently takes up 3.2 percent of marketing budgets but will almost triple to 9 percent in the next three years. 3. Using video with great effect, Nike has skyrocketed its Instagram following from 4 million to 12 million in the last 10 months. 4. 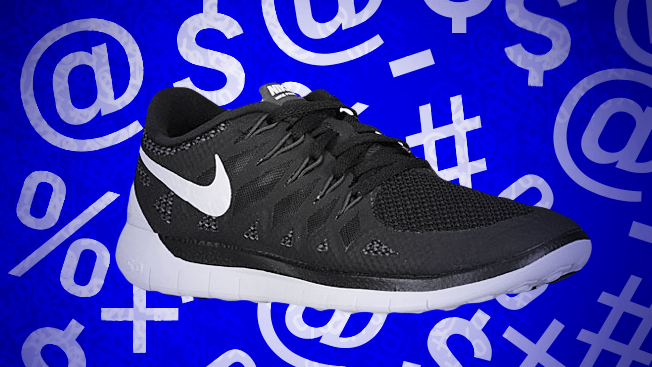 And there will probably be more brands like Nike honing their Instagram skills very soon. Cowen & Co. analysts predict that the Facebook-owned mobile app will generate $5.8 billion in revenue in 2020, up from $700 million this year, Mashable reported. 5. Want to know why Facebook's getting into shopping-based product ads? According to Q4 2014 research from Adobe Digital Index, 20 percent of clicks on Google search links for retailers were on its Shopping Ads. Indeed, follow the money, Facebook. 6. From August through November last year, personal finances app Acorns leaned heavily on Twitter's Promoted Tweet ads to generate downloads In the first 90 days, the brand told Adweek that one in five of its downloads came from Twitter. What's more, the company paid less than $4 per app install, which it claims is significantly lower than the $8 to $10 that financial companies typically pay to acquire users. 7. A study by the Association of National Advertisers found that 58 percent of marketers had purchased native advertising in the past year. 8. The white-collar class is an increasingly digital shopping set. Martini Media researched Americans with at least $250,000 in annual household income and found that 83 percent bought luxury goods online in the past 12 months, according to MediaPost. 9. People constantly delete their mobile apps. But Ibotta, a shopping-driven player, seems to have solved the viewer-retention dilemma by giving people cash. The Denver company said that more than half of its 2 million monthly users opened the app an impressive 25 times in January. 10. A 6,000-participant survey by MindBodyGreen found that 83 percent of millennials would be open to recommendations from a brand on how to be more mindful or culturally aware, compared to 74 percent of Baby Boomers. The research is from the online publisher's new internal consultancy for brands called MBGEnhance. More surprisingly, MBGEnhance learned that 84 percent of the smartphone-loving Gen Y respondents sometimes felt overwhelmed by social media. Bonus stat: Ford's "Speed Dating" digital film has been viewed 10.6 million times on YouTube alone since Feb. 6, and it was the No. 1 brand spot on the video site last week. You can watch the three-and-a-half-minute clip below.